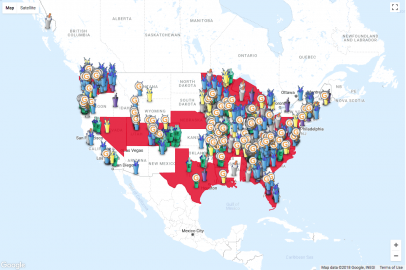 Can municipal broadband save net neutrality? Together with some federal lawmakers who actively oppose net neutrality and a far larger contingent who oppose losing the financial support they need to stay in office, that’s virtually the whole pro-repeal camp. 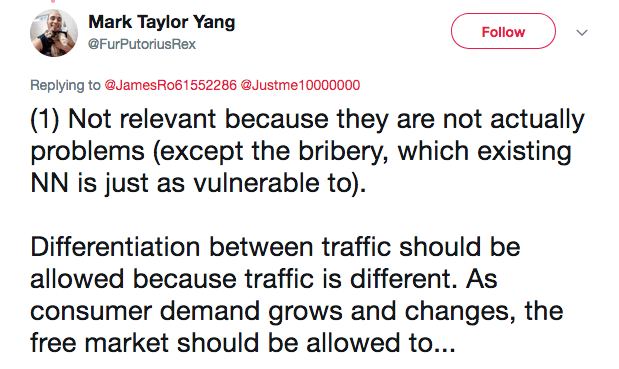 There are some genuine doubters who don’t believe that net neutrality is desirable or works; I disagree, but the other side isn’t all cynical. Point is: this is a rare example of near-total consensus. On one side, the American people; on the other, their ISPs. And it’s happening against a backdrop of plunging federal investment in American cities. America’s infrastructure mostly dates to the great waves of public or military investment in the 40s, 50s and 60s; we basically owe almost all American highways, bridges and communications to the New Deal or the military-industrial complex. So, when an American city looks at what gets it the most bang for its infrastructure buck, where should it spend its scarce, dwindling tax dollars? For many cities, the answer is better broadband. Consumers love better broadband, and since most Americans now access nearly all their entertainment online, that’s no joke. Poor Americans priced out of fast broadband are priced out of the dominant mode of discourse and commerce – being disconnected from the internet now is like having no electricity in 1940: a sign of hopeless and irremediable poverty, and a guarantee that this state of affairs won’t change until you get hooked up to the grid. And businesses love better broadband. American businesses already have to contend with some of the slowest broadband speeds in the developed world; any improvement registers with them as a major service. So if you’re a city mayor or council member and you want your voters to remember your name and your donors to write extra-big checks, you build… fiber. Net neutrality has massive majority support; municipal fiber has massive majority support. In both cases, the constituency is so massive that servicing it is a political no-brainer. So you’d expect to see municipal broadband, usually fiber, popping up all over the US, promising a neutral net to its users. In fact that’s begun to happen. We’ve talked before about the struggle between various levels of the US government structure when it comes to an issue like net neutrality. So I’ll give just the TL;DR here: the FCC thinks local governments – state and city – don’t have the power to enforce net neutrality rules in their own jurisdictions, and local governments think they do. So the process is grinding on through courts. Thing is, though, if a city government just flat-out owns its fiber network, it doesn’t need to legislate for net neutrality. It can just put that in its terms and conditions and unilaterally decide that’s how it will offer its services. For ISPs, this should be terrifying. Americans don’t love the Federal Government, but they sure like local government; and they often resent their ISPs. When you’ve been gouged for decades by a take-it-or-leave-it merchant who can do as they please with their customers because they’re the only game in town, fast, low-cost broadband with neutrality promises built in looks like the cavalry coming over the hill. It’s happening across the US: in over 100 municipalities in 24 states, plans are afoot for local fiber broadband. In many cases these are being built in places where privately-owned ISPs have already been asked to do the job and turned it down as too expensive or difficult. It’s not surprising to see some of these clusters – you can barely make out Oregon, or instance, or the midlands east of the Dakotas. But Florida? Chattanooga, Tennessee is another seemingly unlikely spot for a digital revolt. But in fact, theirs started years ago. They switched on citywide fiber in 2010, when EPB, the city-owned utility company that services Chattanooga’s residents, built out a fiber network in the city as part of an effort to eliminate weather-related power outages. Chattanooga now has has some of the fastest connectivity in the USA. A hill town famous for a swingin’ country and western number offered better broadband that New York and San Francisco. The result has been a high-tech boom, albeit one that has left out some of Chattanooga’s least educated residents. In a more likely location, San Francisco, the city government is considering a broadband fiber net that would connect all its citizens with world-class speed. While San Fran is the US’ most tech-forward city, it also has terrible connectivity problems that frustrate the city’s cutting-edge businesses even more than its TV-streaming consumers. Right now, SF is mostly Comcast territory, and they have no plans to improve the service they offer, again citing costs. And even if they did, they couldn’t compete with a service like Chattanooga’s. 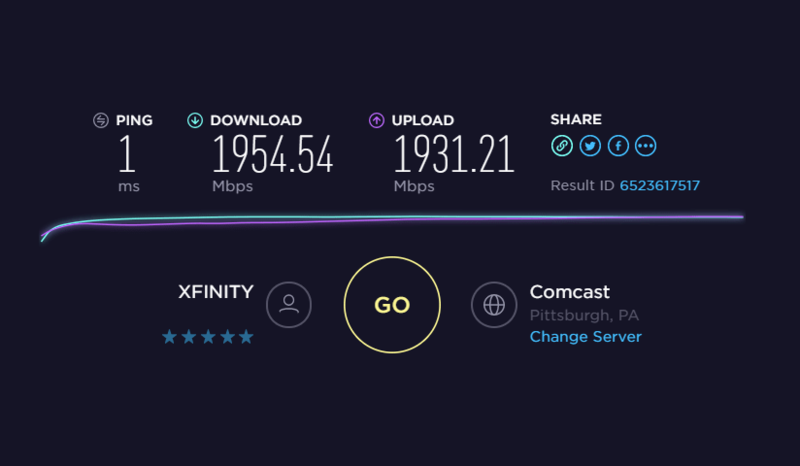 Comcast charges $299/mo for 2 gig broadband, plus $1000 of connection and installation fees. But the $1300 price tag puts it a little out of most pockets. 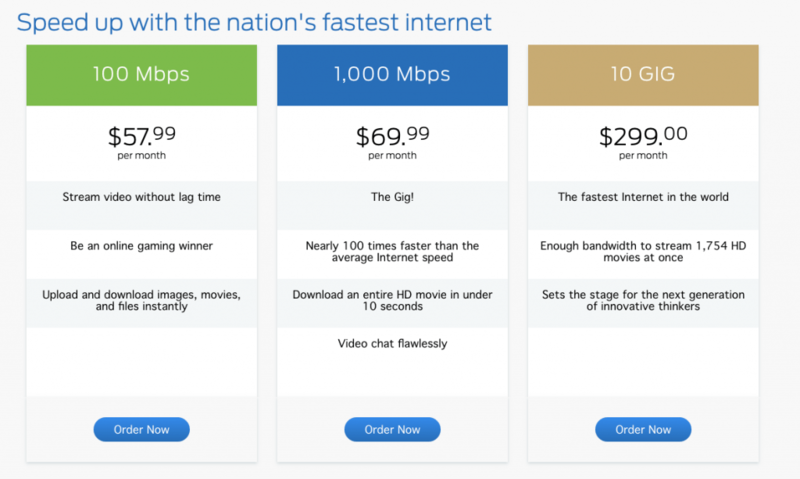 If you’re willing to give them $299/mo, you can get five times the top speed Comcast delivers. Faced with that kind of competition, how can traditional ISPs respond? The benefits they hope to derive from the demise of net neutrality depend largely on having monopolies or duopolies. Faced with a popular, well-regarded provider that undercuts them on price, outdoes them on quality and promises a neutral net to its customers, one effect might be a retreat by Comcast, AT&T and others to a position of ‘provider of last resort,’ occupying spaces where low technical literacy coincides with weak local government – like large swathes of rural, low-income America. But another might be a complete climbdown on net neutrality. Will corporations ever retreat from something they’ve paid good money for? If it turns out to be a money sink that proves we don’t need them anyway, then maybe.